Nominated by Friendship Ark, Inc.
Alan and Mary Christy have tirelessly given of their time and resources to create housing for individuals need for over two decades. A contractor by trade, Alan used his expertise to make a big impact on the needs of Friendship Ark, Inc. and Emergency Residence Project (ERP). He donated hundreds of hours as the General Contractor for all five of Friendship Ark’s homes for adults with disabilities. He also solicited and received hundreds of thousands of dollars in in-kind donations from sub-contractors and building suppliers for each of those homes. 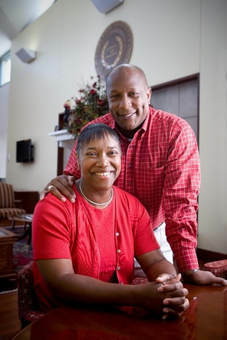 Mary has assisted Alan along the way, as a leader for support of the housing community by educating others on the needs that exist and encouraging them to give of their time and resources. In 1999, Alan also spearheaded the construction of a four-plex apartment building for ERP. His efforts provided twelve additional bedrooms to house ERP families. He has amazing ability to get others to see his vision, bringing along dozens of developers, suppliers and trades people to assist him in providing housing for people most in need. Alan and Mary Christy lead by example, demonstrating their own values and inspiring others to join them. They are a true picture of quality leadership and philanthropy, and they have had an immeasurable impact on the community around them. Renewable Energy Group, Inc. (REG)’s support of non-profit organizations in Story County has made a tremendous impact on the youth in the community for many years. As America’s largest producer of advanced biofuels headquartered in Ames, REG gives back in a big way. 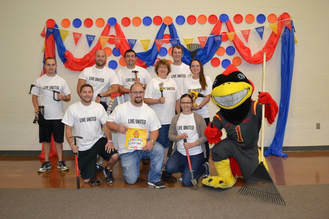 The company is a financial pillar for Boys & Girls Clubs of Story County, providing funding for supplies to the Club’s participants on a monthly basis and hosting a carnival for all members each year. REG also supports Mary Greeley Medical Center’s Mileage Club, impacting thousands of children from 17 Story County schools each year. This program rewards and recognizes students for being physically active during recess and for including fruits and vegetables at snack and meal times. In 2017, children in the program ran or walked more than 53,000 miles! REG’s support goes beyond these two agencies, creating undergraduate scholarships at Iowa State University’s College of Engineering and graduate scholarships for MBA students. REG has committed thousands of dollars for these scholarships as well as providing funding to support the Biobased Industry Center, the Young Women in Business Conference, the ISU chapter of the American Institute of Chemical Engineers and the MBA Executive Advisory Council. In addition to all of the financial support, REG employees have volunteered time and talents on committees and boards for these organizations and more within the community. REG’s impact on the community is reflected by its exceptional corporate culture that encourages community involvement and philanthropy, making them a leader in support for Ames and Story County! 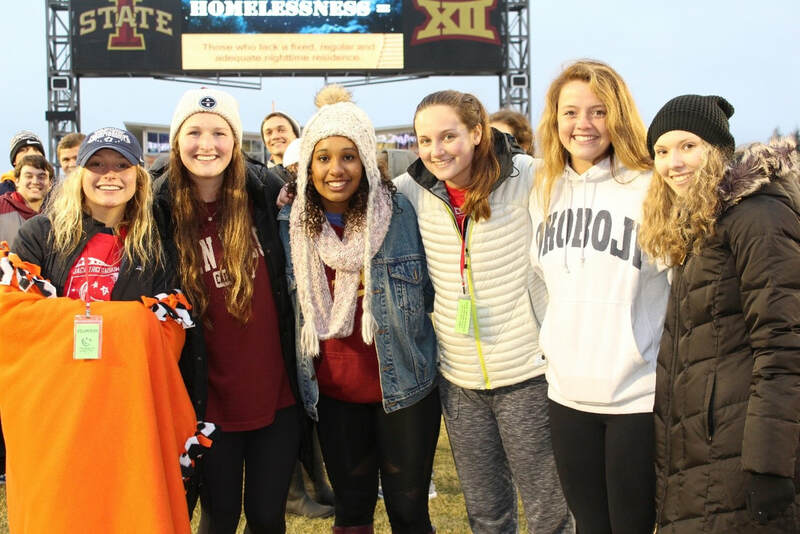 The Ames High School Reggie’s Sleepout Committee was an integral part of the first ever Reggie’s Sleepout Ames (RSO Ames). This event, which raised money and awareness for youth homelessness, benefitted three organizations in Story County: ACCESS, ERP and YSS. The group started as an idea from students who participated in Youth Leadership Ames and helped organize the event by participating in meetings, marketing to their peers and raising money. The group even held a basic needs drive, collecting over 300 items such as shampoo, deodorant, and toilet paper to give to homeless individuals in the community. The inaugural event brought over 500 campers and volunteers and raised over $90,000 to help fight homelessness in Story County. The Ames High School committee’s efforts brought 50 high school students and over $1,000 to the event. Their passion and dedication played an important role in RSO Ames’ success. Rotary Club of Ames has a long history of providing financial and volunteer support for hundreds of projects across many organizations in Story County and around the world. With 220 current members and hundreds of prior members, this civic group is a generous and powerful force for good in our community. At the local level, the impact of this club is seen across Story County. 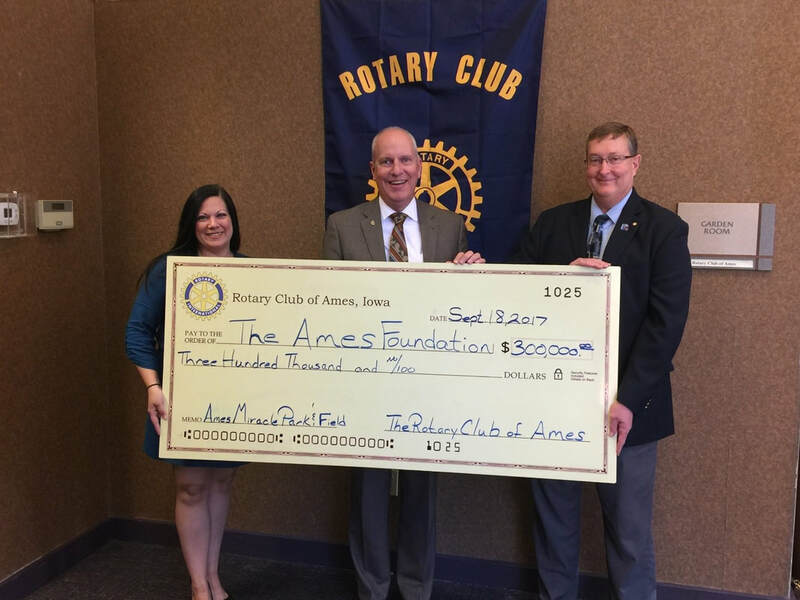 Rotary Club of Ames has given tens of thousands of dollars to help programs at organizations such as Boys & Girls Clubs of Story County, Israel Family Hospice House, Mary Greeley Medical Center, United Way of Story County, YSS, Heartland Senior Services and Raising Readers in Story County to name only a few. Their support for numerous local organizations has provided services to countless individuals and families in Ames and Story County. The Rotary Club’s message of Service Above Self is exemplified by its members actively serving on many local non-profit boards, volunteering their time, mentoring students, running for public office, offering their expertise and sharing their financial resources. For nearly 100 years, this special group of leaders and volunteers have collectively exemplified dedication, leadership, and generosity that benefits our community and beyond. Peggy and Jeff Johnson are two of the greatest friends to the Ames and Story County communities. Their support to organizations including Mary Greeley Medical Center, Boys & Girls Clubs of Story County, Ames Public Library, YSS, Iowa State University, and United Way of Story County demonstrates their extreme passion for the people around them. Peggy and Jeff have committed their time, energy and resources to support these organizations for many years. 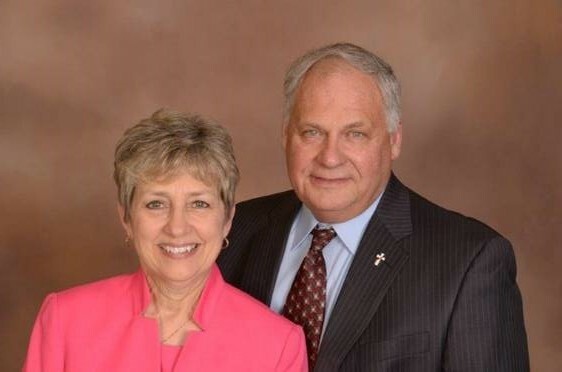 Whether Peggy was serving as a member of the YSS Board of Directors, Jeff was helping to lead the Mary Greeley Foundation Board of Directors or financially supporting one of many organizations, the two of them have always displayed their leadership and passion for making their community better. Peggy and Jeff have immersed themselves in the community and made vast contributions that are seen all throughout Story County. They are set apart by their enthusiasm for philanthropy and their encouragement of others to join them. Peggy and Jeff Johnson’s caring and generous support has made our community a more welcoming place for everyone.